ISLAMABAD: People suffered a double blow on Sunday as the government increased the prices of petroleum products and CNG with effect from Monday. The price of petrol has been raised by Rs2 per litre and that of high speed diesel (HSD) by Rs2.16, according to an official of the Oil and Gas Regulatory Authority (Ogra). The petroleum ministry has also imposed an additional nine per cent GST on CNG, increasing it to 24pc. As a result, the price of CNG has gone up by Rs2.54 to Rs75.48 per kg for Region-I (Potohar, northern Punjab, Khyber Pakhtunkhwa and Balochistan) and by Rs1.85 to Rs66.75 for Region-II (central and southern Punjab and Sindh). Earlier in the day, oil marketing companies had announced an increase in prices of petrol and diesel by Rs2.66 and Rs3.66 per litre, respectively. But later a spokesman for the Ministry of Finance said the government had decided to adjust 66 paisa in petroleum levy on petrol and Rs1.50 on diesel. Ogra spokesman Afzal Bajwa told Dawn that the authority had recommended to the government to keep the prices unchanged, but the recommendation was turned down. After the adjustment in levy, the new ex-depot price of petrol will be Rs101.77 per litre, Rs2 more than the previous rate of Rs99.77, and that of HSD will be Rs106.76, Rs3 more than the earlier rate of Rs104.60. The prices of kerosene have been raised to Rs96.29 per litre from Rs93.79, light diesel to Rs92.17 from Rs89.13 and high octane blending component (HOBC) to Rs126.77 from Rs124.41. 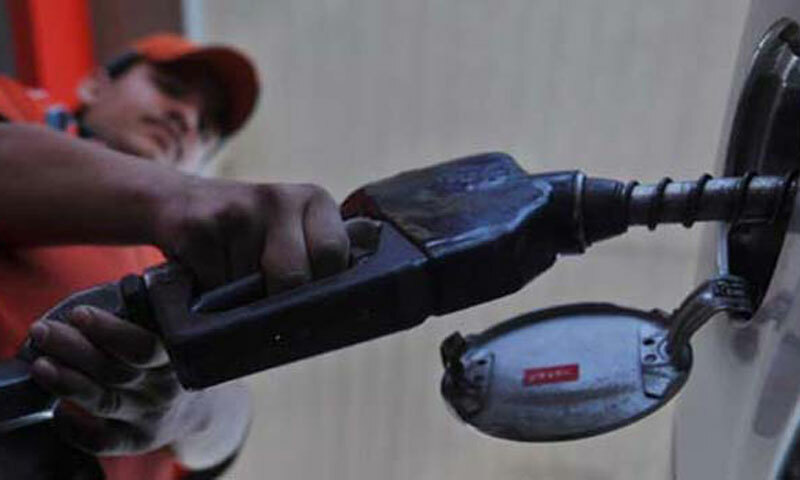 Besides the import parity price of petroleum products and profit margins of dealers and oil companies, the government charges petroleum levy at Rs14 per litre on HOBC, Rs10 on petrol, Rs8 on HSD and Rs6 on kerosene. The government has also started charging 17pc GST on sale price of petroleum products, one per cent more than the previous rate of 16pc.